You can give vegetable seeds a head start in the garden by soaking seeds before planting them. The extra moisture can speed germination and helps them thrive. Depending on where you live, getting ahead can mean all of the difference come that first spring thaw. Getting your garden ready the previous fall, bringing in compost for the new growing season, and of course picking out all of the heirloom vegetable varieties are great first steps. Once the soil is ready, the garden gloves on, and the seeds in-hand, it is time to get planting. But what if there were a way to get those seeds germinating just a little bit faster? A way to conserve water in those early days when daily – sometimes twice daily, in dry climates – watering is necessary to germination? A means of ensuring that, despite your possibly drier climate, seeds still germinate in the hottest of temperatures? Soaking seeds could possibly be that solution for you. The concept of soaking seeds is age-old, no doubt, and is not the same as “chitting” seeds. Chitting seeds is the process of pre-sprouting seeds before planting. This is commonly done in planting Irish potatoes where you see the eyes begin to form sprouts and then carefully plant in order to speed the germination. This is also done with seeds and is called chitting. Soaking, on the other hand, only involves a quick hydration of the seed to kickstart the sprouting process that happens in-ground. Which seeds benefit from soaking? 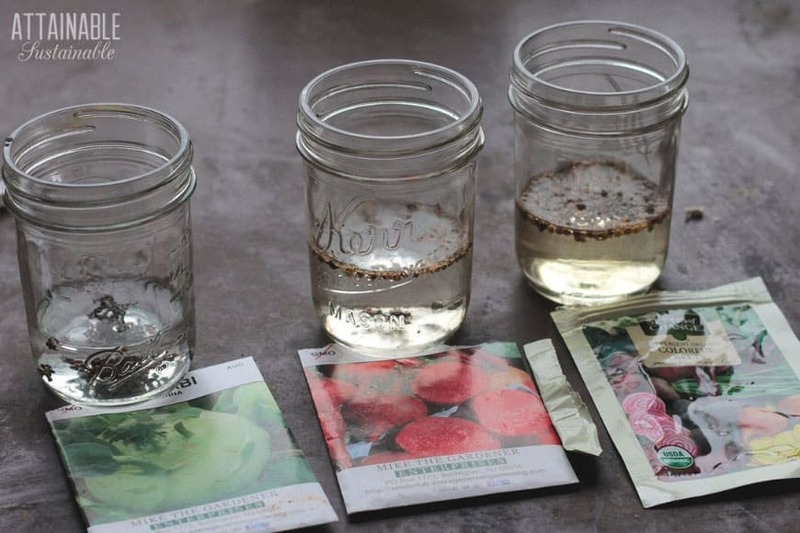 All seeds can be soaked, depending on how you choose to plant them. However, smaller seeds become especially difficult to plant en-masse because they clump together and are more difficult to individually plant. But if you are working on a small scale, and especially if you are planting in flats to get started as opposed to direct-sowing, even carrot and lettuce seeds can be soaked. 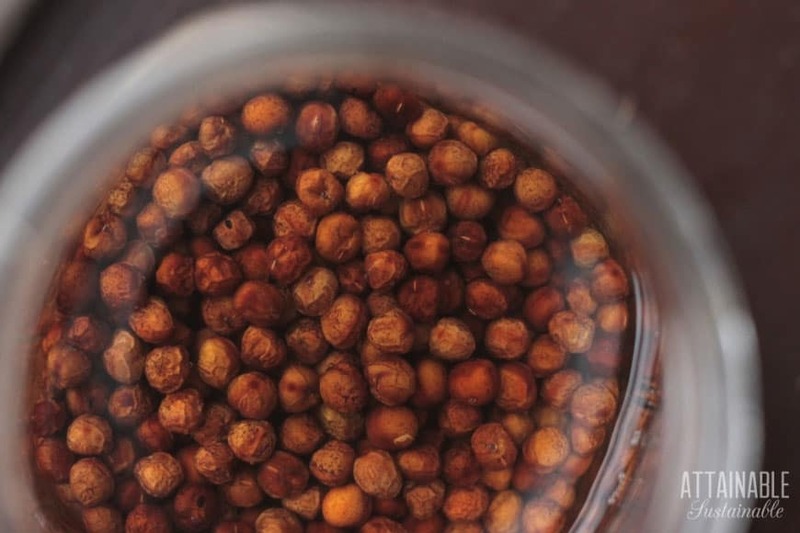 The practice of soaking is something I find particularly helpful in the hottest months when things like okra or black-eyed-peas are going into the ground. This extra moisture really helps when the soil tends to dry out quickly. The process of soaking seeds before planting is very much akin to sprouting seeds in your kitchen. It is as simple as pouring the seeds into a small bowl or jar and covering with plenty of water. You can then leave these for 8-12 hours before planting. 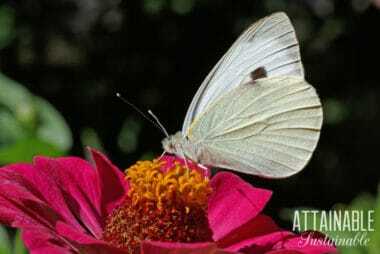 You may be able to leave them longer, in a pinch, but it is recommended that you plant within 12-24 hours. The seeds will expand as they absorb water. The skins will soften slightly and the soaking water will take on the color of the seeds. 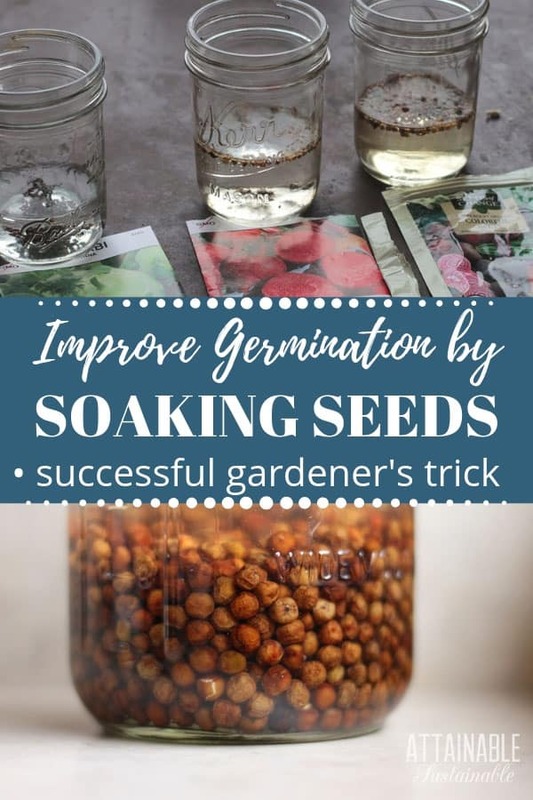 Once the soaking period is up and you are ready to plant, simply drain the water from the seeds and take the seeds out to the garden. Soaked seeds like to clump up together, as stated above, so particular care should be taken to separate seeds while planting. Plant the seeds at the depth you normally would and water as usual. These can be planted in flats, if desired, or direct-sown. 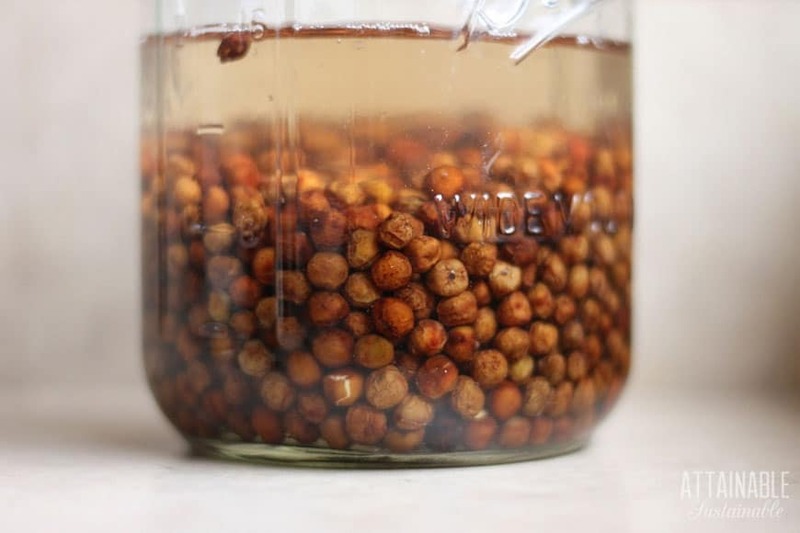 In either case, soaking should hasten the sprouting process, especially in warmer weather. There are a few conditions that you may want to avoid soaking seeds for. If you are having a particularly wet season and the soil is already quite moist and the temperatures cool, there is no need to soak since more moisture is the last thing you want. As with all gardening techniques, your mileage may vary. Depending on the age of the seeds, the variety, etc. you will see different rates of germination and a different improvement in germination speeds with soaking. But, generally speaking, those larger hard-shelled seeds are great candidates for soaking.